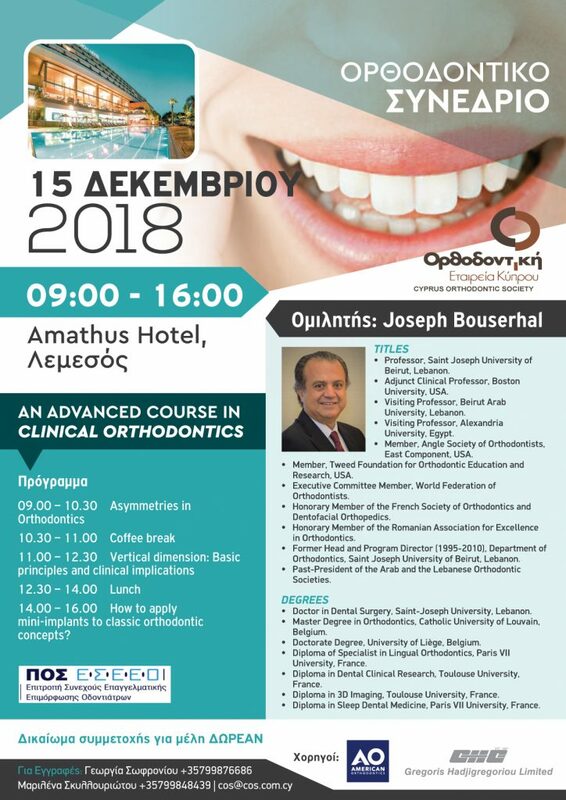 Welcome to the Cyprus Orthodontic Society’s new website. Our aim of having this site is to provide updated information to our members about the scientific activities of the COS like the scientific activities, events and seminars, continuing education courses and workshops and the annual meetings. Local and international meetings are also added in this site. We have a complete list of all orthodontists in Cyprus. Non-members are also invited to join or apply for membership using our online registration.